In Shani-Shingnapur village, the god is self-appeared idol. God appeared in form of black stone with a height of 5 feet and 9 inches & 1 feet and 6 inches in the width. He is standing on platform without any roof. It is believed that, 250 years ago, in Shingnapur village it rained so heavily and incessantly that all the houses and fields were submerged by flowing water. The Shani idol came flowing along with the flood waters and got stuck in the branches of the neighboring berry tree. After the reducing of flood water when cowherds went near Panas Nala, they saw the big stone boulder in the branches of tree. They were surprise to see it. With the lot of hesitation, they poked the idol with their sticks and stone started bleeding. The cowherds saw this injury. With the scared, they ran away. They came back to the village and told their elders about what they saw. Listening to all this, villagers went to that spot where the stone was found. They were also shocked to see it. They could not decide what to do of this stone. At last they all returned to their homes by deciding that they would think tomorrow on this. Next morning devotee told the villager about his dream. And villagers did according to the dream. At that time many people tried to their best to install the idol in their own field, but the idol would not budge from there at all. At last the statue placed where it stands today in open ground. At that time, there was no any foundation. 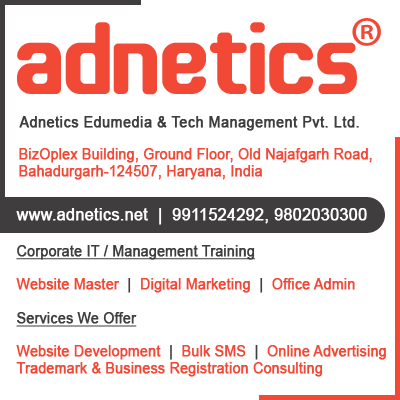 Foundation was made after very long time. Shri Jawahar Mal was made this foundation. Shri Jawahar Mal was the rich man in sonai village (Near by Shingnapur village). He had no any child. So, he prayed to Shani dev that if he got son, he would erect a beautiful foundation there. 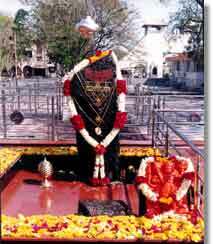 And by the grace of God shanidev he got a son and he erected a good foundation in Shingnapur & one platform for God Shani dev. Now a day, all the activity of Shani Shingnapur foundation is handled by Shri Shaneshwar Devasthan Trust.